First published in 1997, this volume will revolutionise the study of watercolour painting in Britain. The Royal Watercolour Society archive constitutes a major academic resource covering two hundred years of the history of watercolour painting in Britain. The rediscovery in 1980 of ‘the Jenkins Papers’, the early records of the Society, was a major find for the history of British art. The archives are substantial and remarkably comprehensive. Minutes of annual general meetings, Council and committees, are all intact; extraordinarily, the Society’s catalogues for its own exhibitions have also survived, with details of who bought the pictures and for how much. It contains biographical information on several hundred artists who practised throughout the United Kingdom from the end of the eighteenth century to the present day. Prepared by the archivist to the RWS, Simon Fenwick, this is not just a work of reference, but an absorbing book to dip into again and again. The Society of Painters in Water Colours, as it was then titled, was founded in 1804 to promote the interests of painters using watercolour and to provide a platform for members to sell their work. As such, its archives provide an excellent insight into the evolving debate on the status of the artists and their medium, and an authoritative account of the way in which watercolour paintings were sold, distributed and acquired. 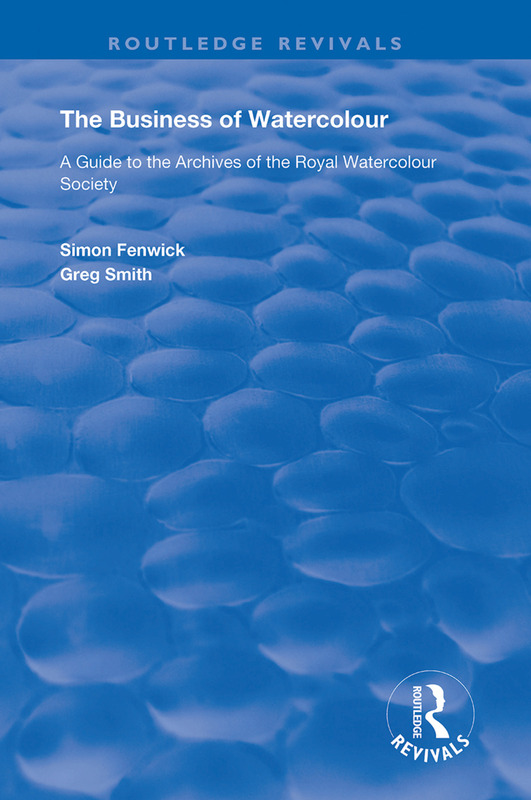 The substantial introduction by Greg Smith surveys some of the purposes and practices of watercolour from 1750 to the present day and highlights key issues, many yet to be examined, relating to the study of watercolour. His survey is arranged around a number of topics including the notion of watercolour as a British art, collecting and display, book illustration, architectural drawing, map-making and topography, antiquarian studies, decorative arts, printmaking, portrait miniatures and drawings, amateur practices and the changing status of the sketch.